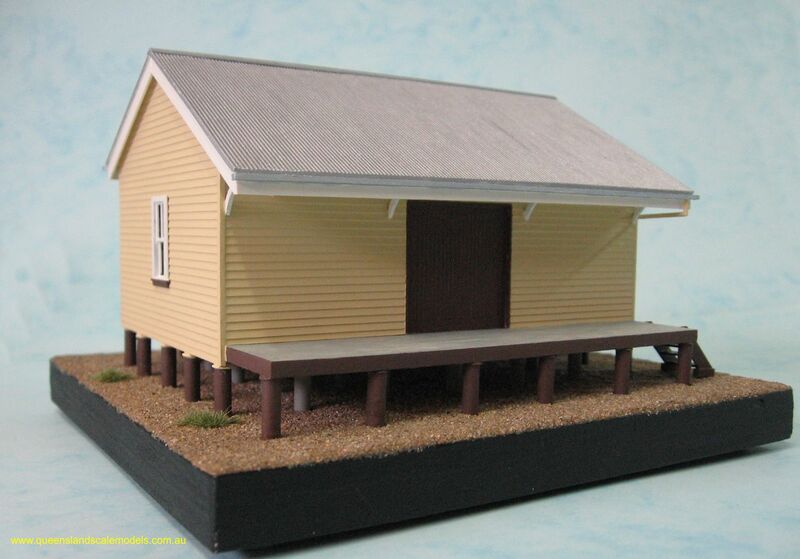 Our Queensland Railways 30' x 20' Goods Shed model was inspired by the building which existed at Cordalba on the former Isis Branch which ran between Isis Junction and Dallarnil. 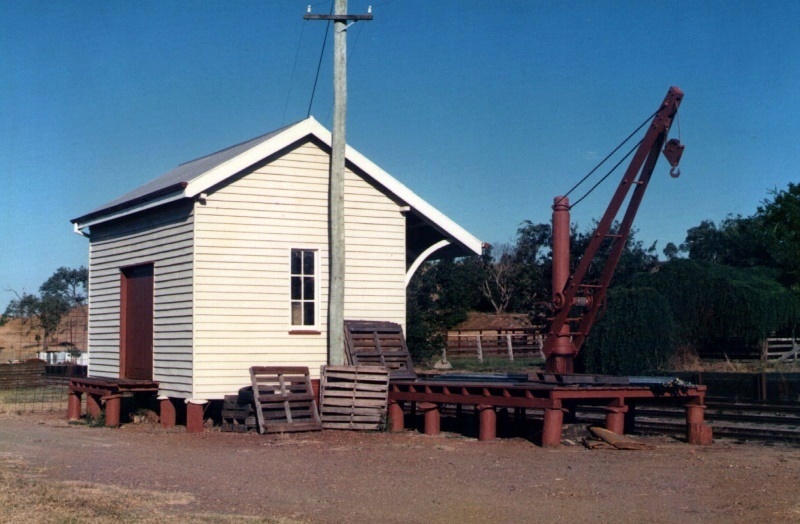 The Isis Branch was opened in stages, and the Childers to Cordalba section was opened on 1st June 1896. 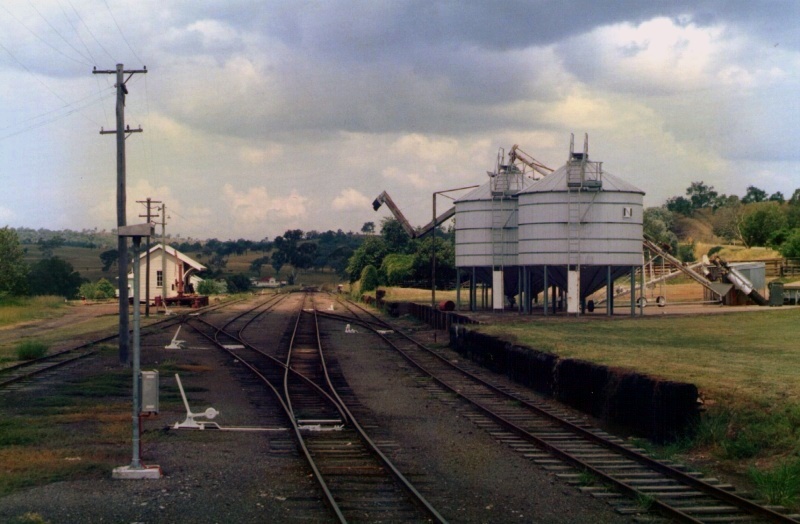 The line was officially closed on 1st July 1964 and later sections of the line were purchased by Isis Central Sugar Mill and converted to 610mm gauge. 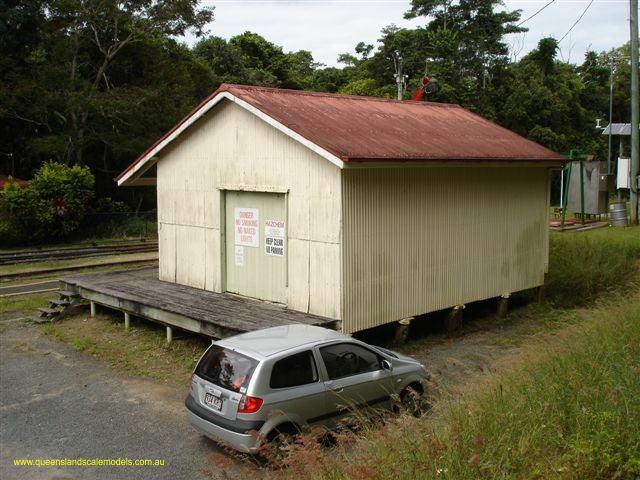 The Cordalba Goods Shed was the last remaining QR structure at the former Cordalba Railway Station. 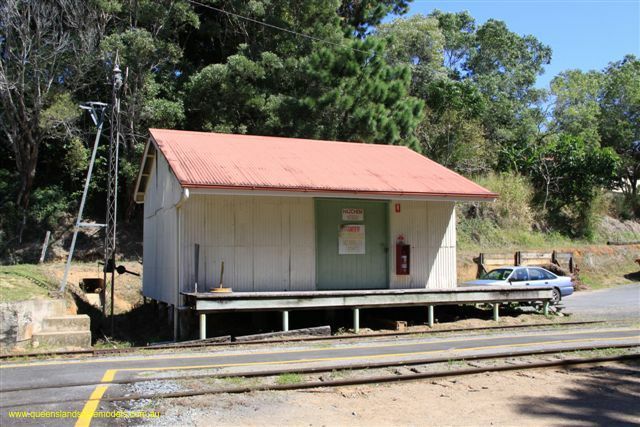 The Cordalba goods shed sustained major structural damage as a result of a severe storm event on 28th October 2015, and was subsequently demolished shortly after. 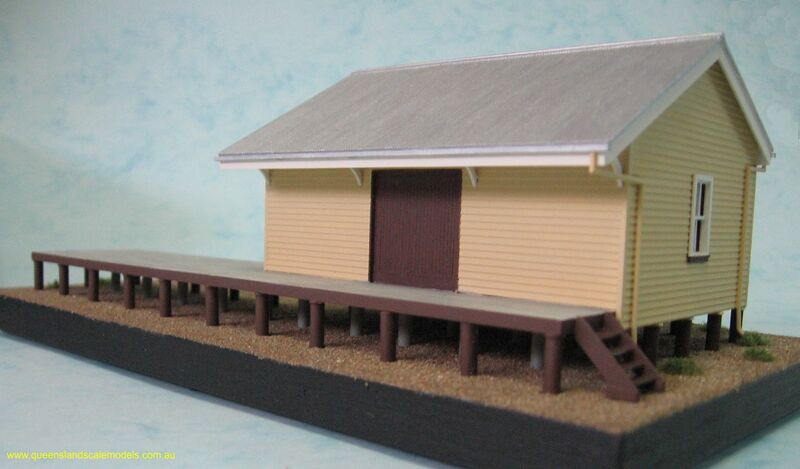 Queensland Railways generally used three standard goods shed sizes. These were 22' x 14', 30' x 20', and 40' x 30'. 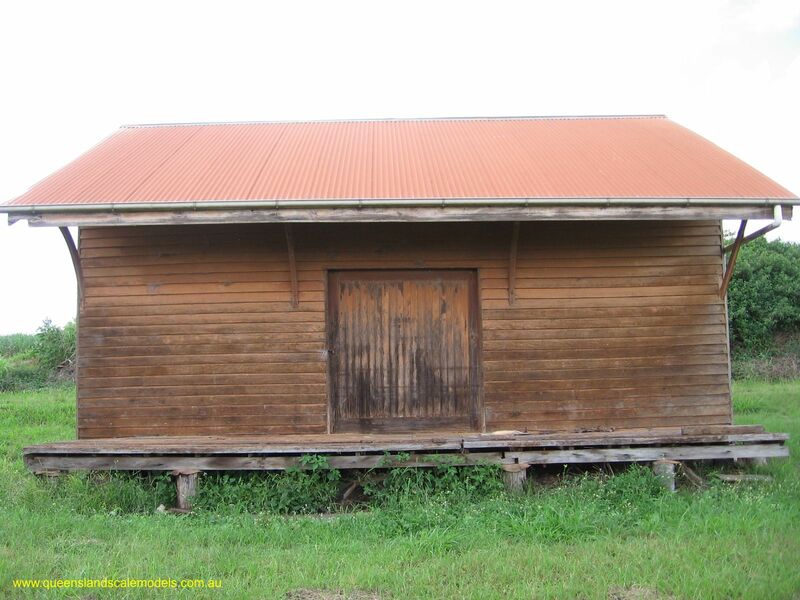 The cladding was either timber weatherboard or vertical corrugated galvanized iron. 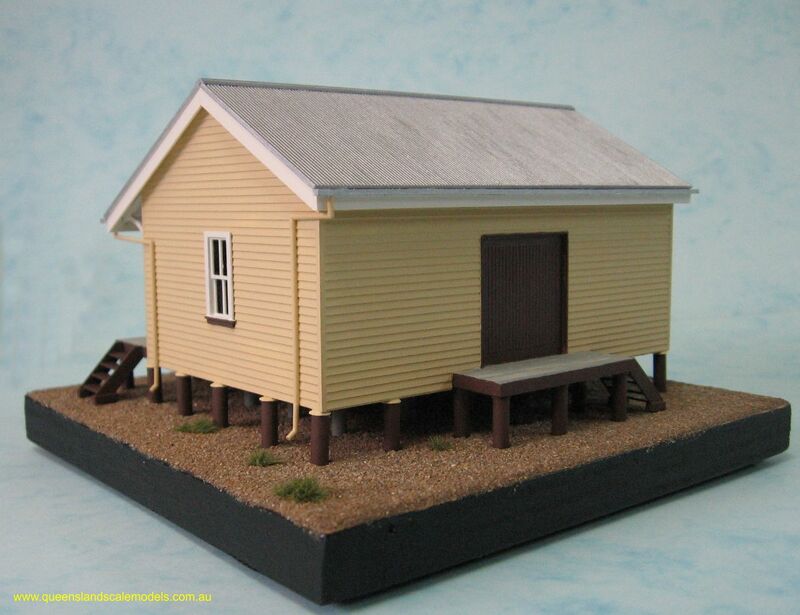 These sheds also had deck extensions, often with a crane located close by. 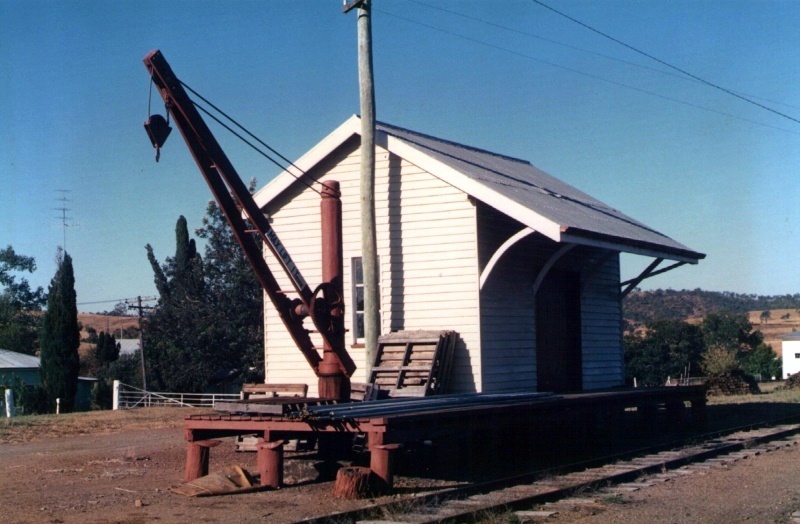 In some locations the crane was mounted in the deck, such as the example at Goomeri which is shown in the photos below. 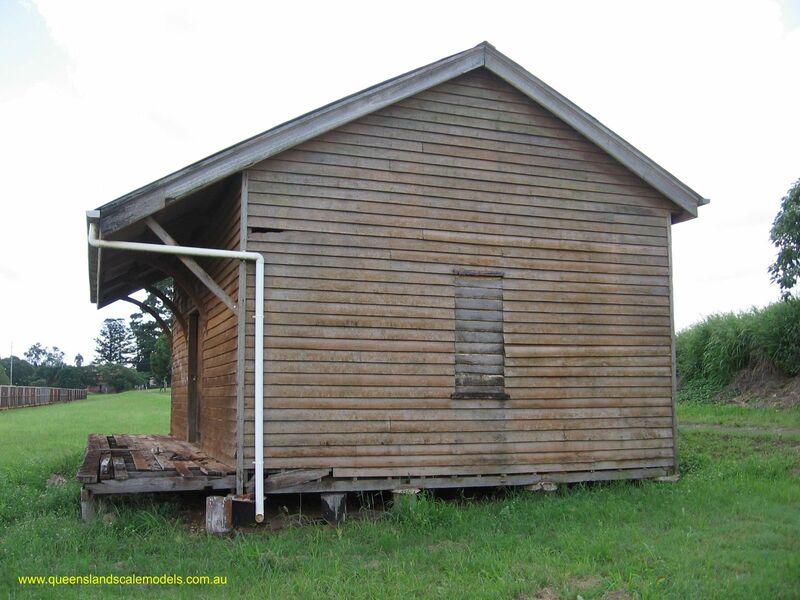 Other variations can also be found, such as the example a Kuranda which has the deck extended around one end of the building. 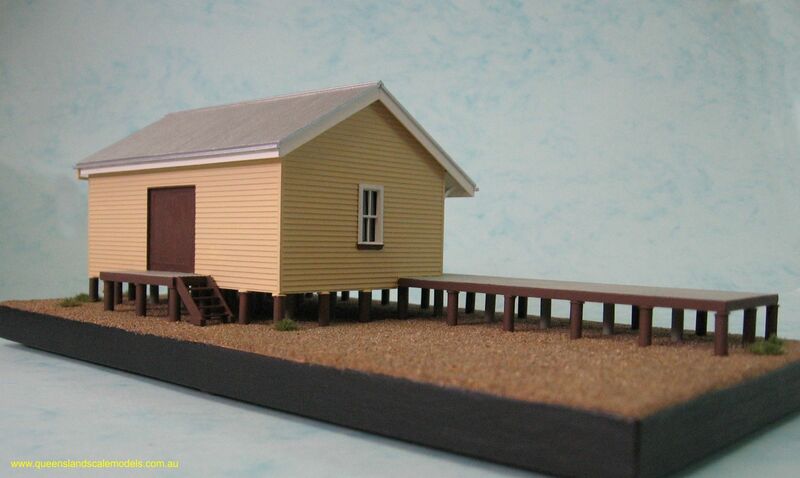 The QSM Goods Shed model covers both the standard and extended deck versions of the QR 30' x 20' Goods Shed.